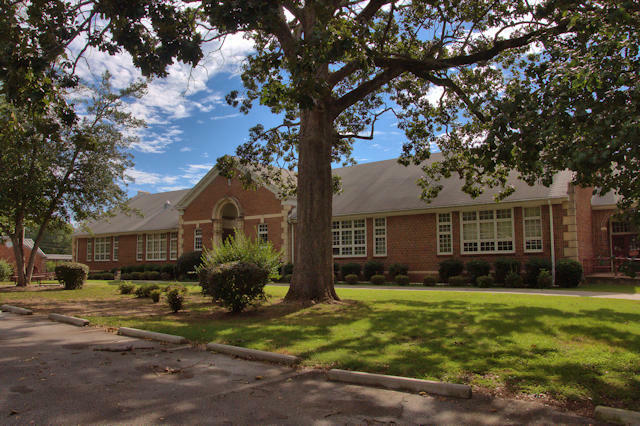 Built in the Georgian Revival style popular with public schoolhouses in the 1930s, the Hartwell Elementary School, as it’s now known, is still in use. It originally served grades 1-11. Atlanta architects Sidney S. Daniell and Russell Lee Beutell were responsible for the design. A WPA gymnasium (not pictured) was constructed in 1939.